Order your Valentine something very special this year.... a singing Valentine. Give us a call to schedule yours today! The Harmeneers’ mission includes bringing the joy of barbershop style singing – four-part harmony sung a cappella – to audiences within the communities where its members live, and to charitably benefit those communities. 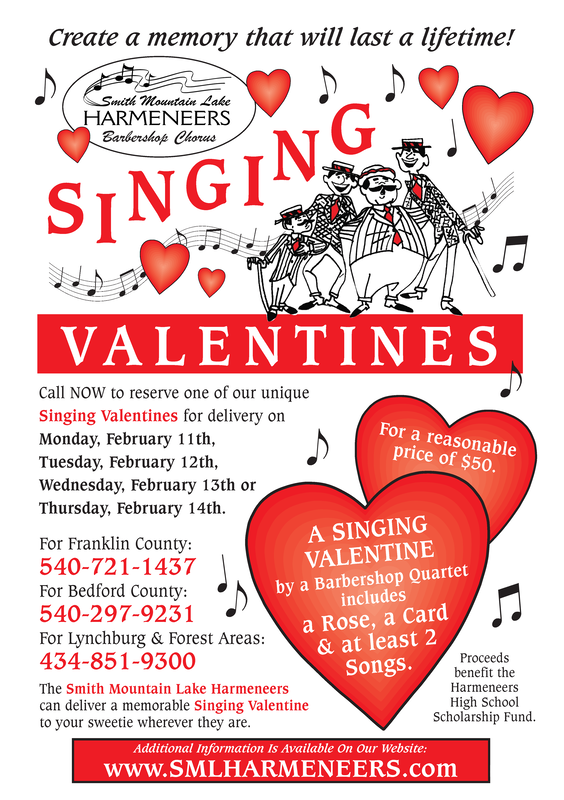 Each year around the 14th of February, the Harmeneers chorus and quartets sing sweet love songs and deliver flowers to lovers, young and old, throughout Lynchburg, Bedford & Franklin Counties, and beyond. With the funds raised from its “Singing Valentines”, the Harmeneers provide scholarships for graduating high school seniors who have demonstrated interest in music. The Harmeneers’ “Youth-in-Harmony Scholarship” program began in 1999 with a single $500 scholarship given to a senior from Franklin County High School who attended Virginia Tech. In 2000, the Harneneers expanded the program to two scholarships and in 2002 the program was expanded again to three scholarships. 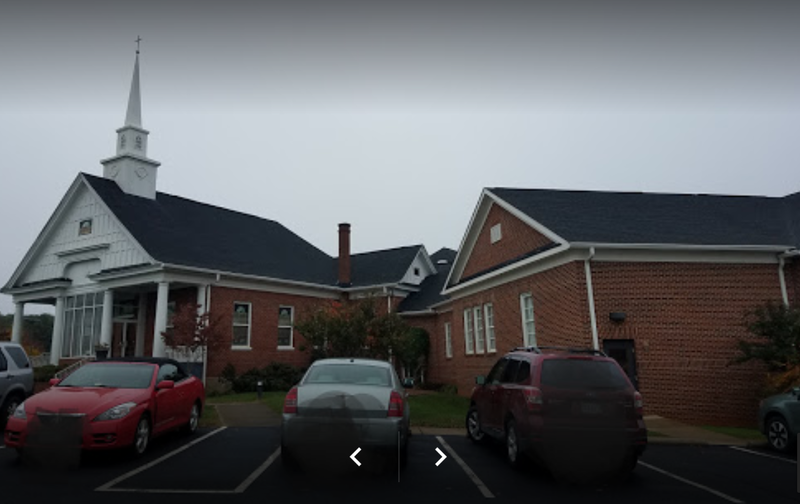 Since 2006, the Harmeneers have awarded four to five scholarships a year in amounts ranging from $750 to $500 to seniors graduating from the following high schools: Franklin County, Heritage, Staunton River, E. C. Glass and Brookville. Since the humble beginnings of its scholarship program, the Harmeneers have donated more than forty thousand dollars to dozens of local area graduating seniors attending colleges and universities.